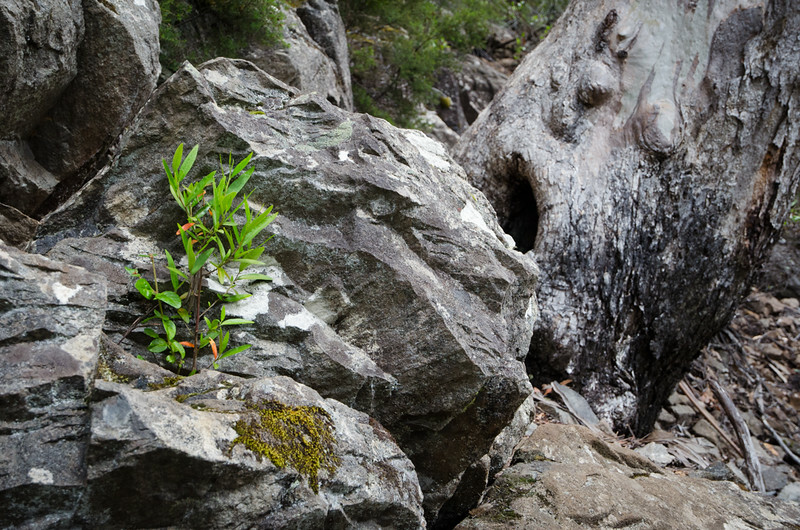 How to get to Pelverata Falls? From Hobart, take the Southern Outlet (A6) towards Kingston. On approach to Kingston, keep your eyes on the signage to ensure you get onto the Huon Highway in the direction of Huonville. After 15mins and around 12km you’ll see Sandfly Road on your left. Take this road and then immediately on your right will be Pelverata Road. 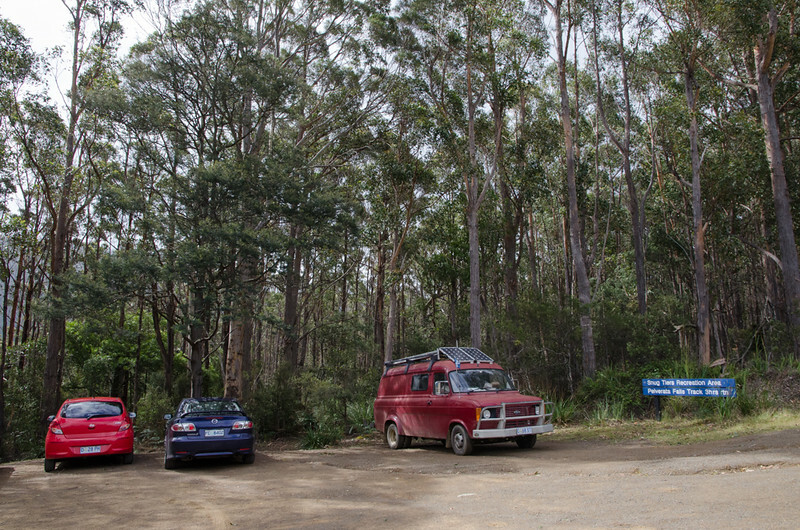 Follow Pelverata Road for another 12km and you’ll arrive at the blink-and-you’d-miss-it township of Pelverata. On the southern side of Pelverata on the left hand side is Croswells Road. 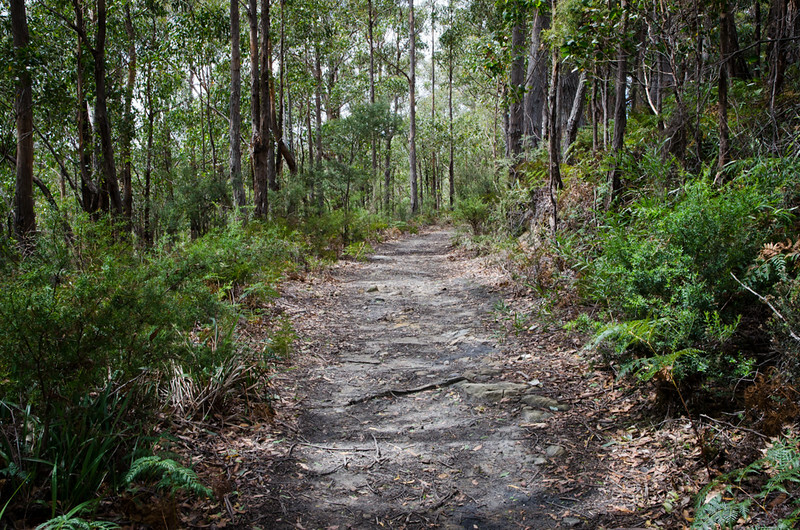 Take this road for another few hundred metres until you arrive at the car park for the Pelverata Falls bushwalk! The start of the hike is well signposted, and the trail itself broad and well made to start. After perhaps 20-30mins the you’ll find yourself at a junction, with the trail continuing to your right as per the signpost. At this point the trail begins to narrow and become a little bit more ‘natural’, with gradual undulations and the occasional muddy stretch forcing a decision to either circumnavigate or stride on through! 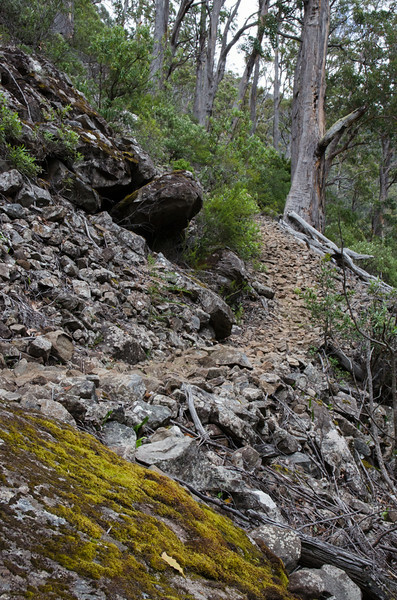 After 30 minutes the trail emerges from the trees on the upper (northern) side of the steep-sided river valley. The trail narrows even further here, at times consisting only of rubble, heaped and flattened. 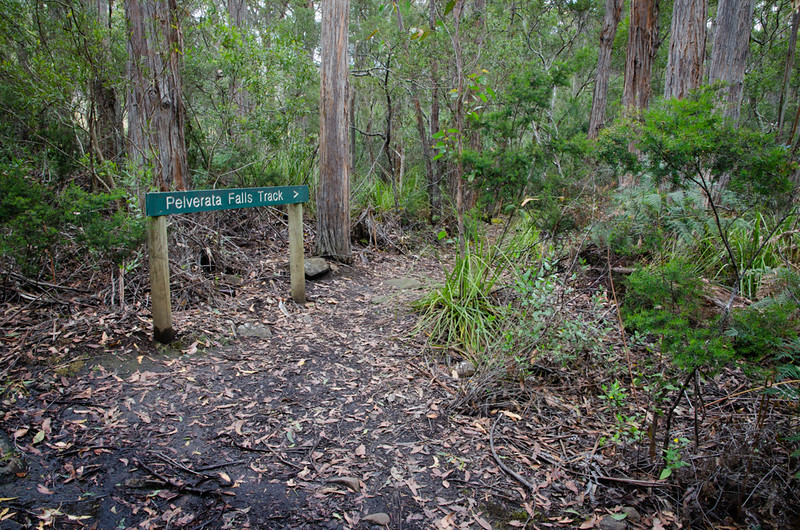 Around 20 minutes of walking will find you at the end of the trail, descending to the river below and a couple of viewing platforms from which Pelverata Falls can be clearly seen against the skyline. For much of the year there isn’t significant flow in the river, but if you plan your hike for the day after significant rain then you can guarantee it will be a spectacular sight, full of spray and even the occasional rainbow! 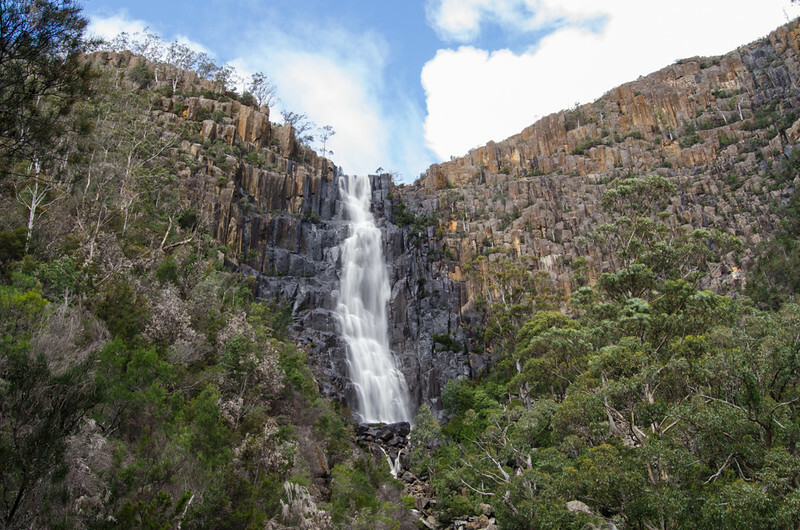 The more adventurous can clamber down the side of the valley to the river bed below, and then climb up the river to the base of the falls, or simply relax and cool down in one of the many rock pools. This is the perfect little hike for one of those days where you really need to get out of the house and stretch the legs, but aren’t feeling up to a half-day slog. 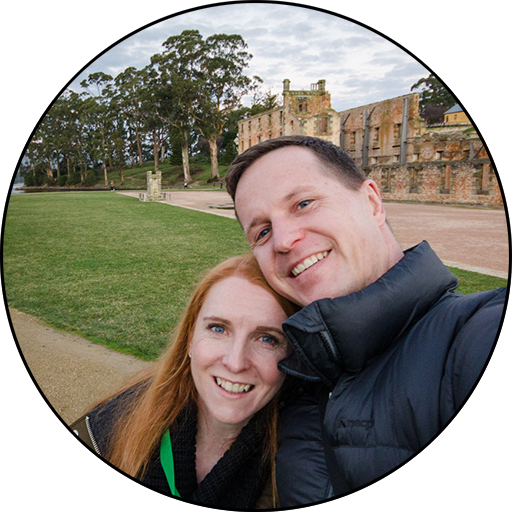 It’s also close enough to Hobart to not require any significant logistics whatsoever. In total, we’d recommend allowing 2-2.5 hours for this hike. 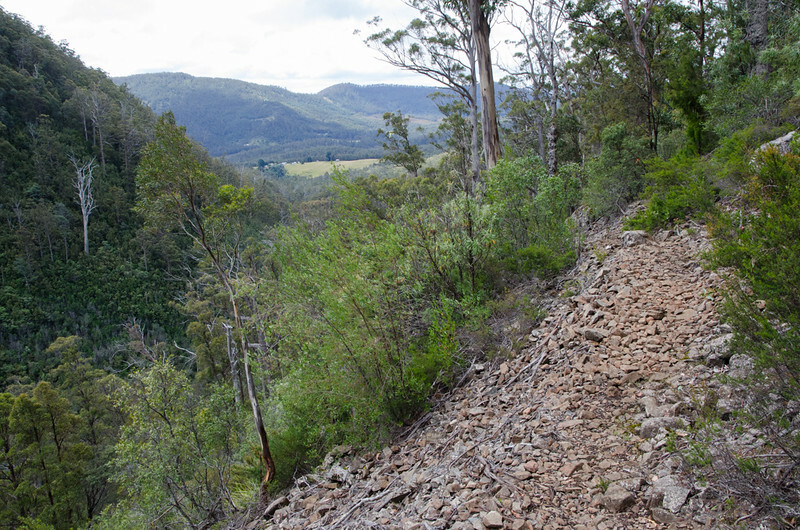 The trail is really well made for the most part, and the incline is surprisingly minimal until the last section that involves a moderately steep descent (and then ascent on your return). This is one of those walks where we’d strongly recommend that you plan to do it after the rains, as a dry waterfall is simply a cliff! No joke, it's The Glass House!